The cheerleaders lift Bailey Penning up in stunt during their homecoming dance routine. 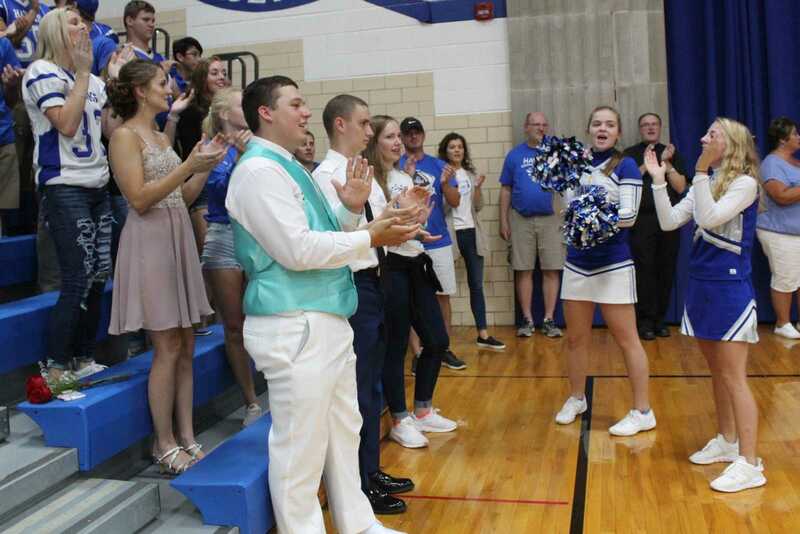 Emma Galles and Lexi Harpenau dressed up as cheerleaders for Spirit Day and helped lead the student section during the school song. 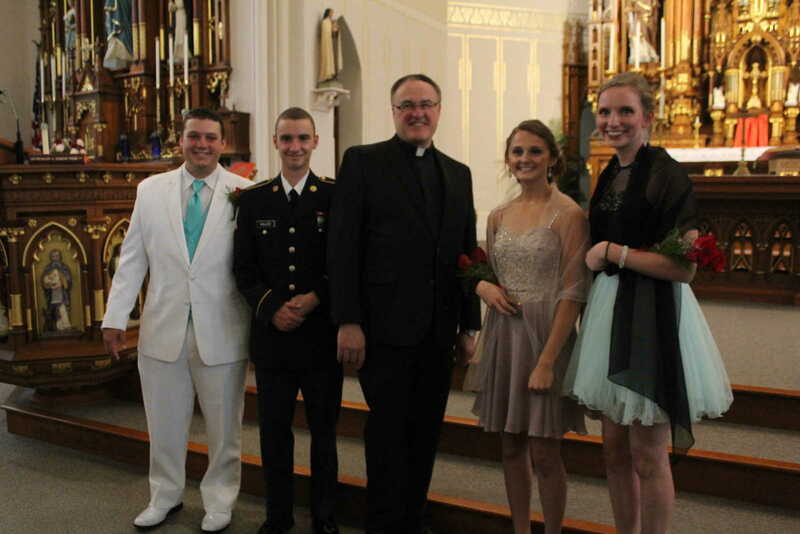 Father Bill poses with senior class representatives: Will Galles, Shay Galles, Hailey Klein, and Kelsey Behrens. 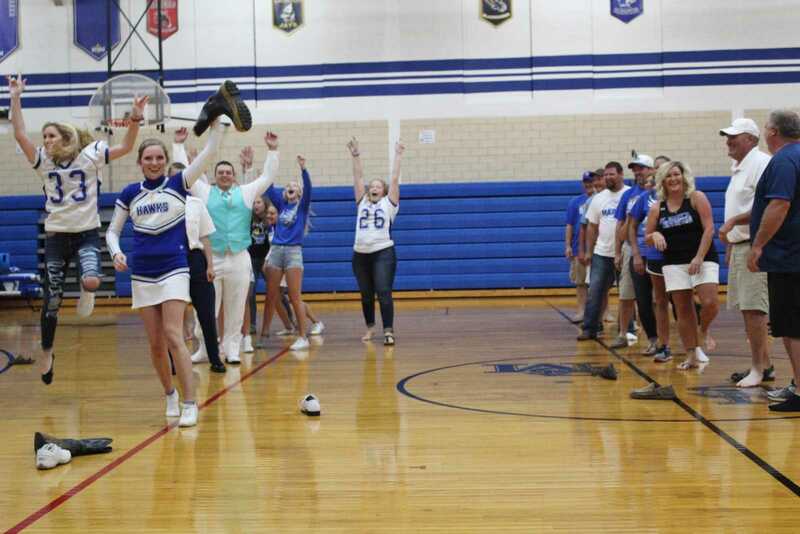 The senior class celebrates beating their parents in a boot relay-race. 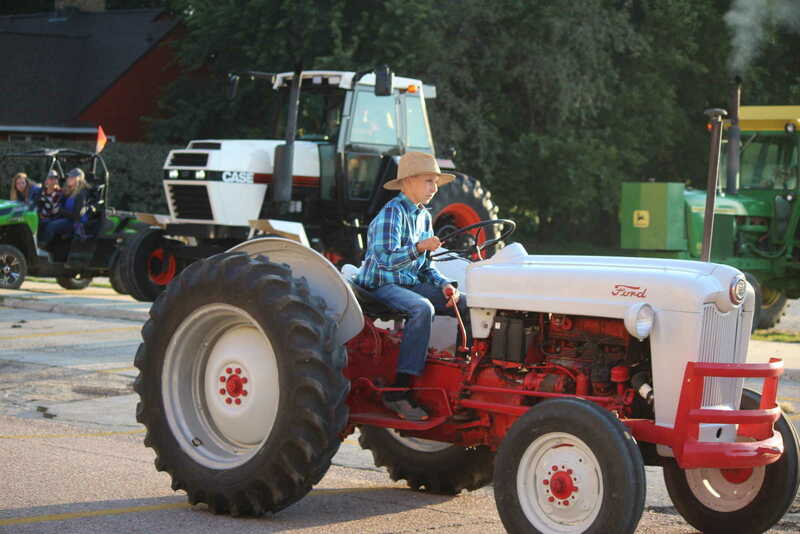 Austin Schwickerath drives his grandpa's Ford tractor during the Farmer Day tractor parade. Skyler Waldschmitt watches as Shay Galles pops his water balloon during the water balloon competition. 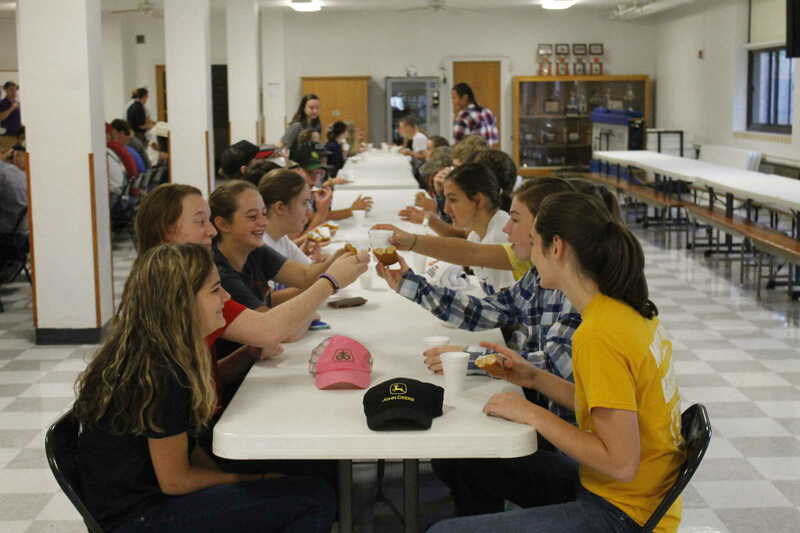 To celebrate homecoming, the Sophomore girls perform a toast using donuts and juice. 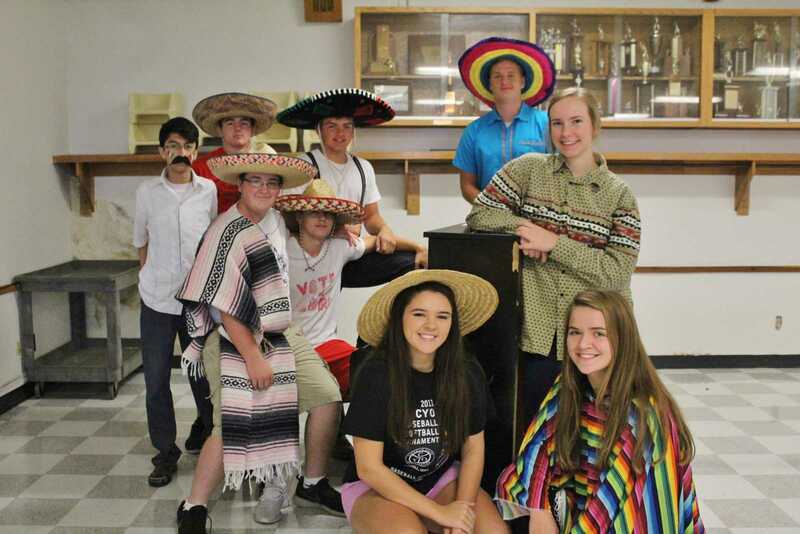 The Junior class poses for a picture in their outfits to celebrate their outfits of Mexico. 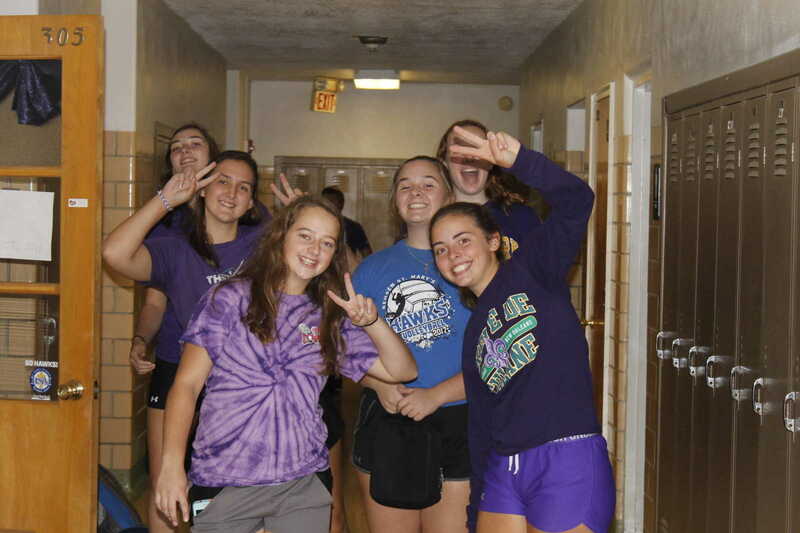 From left, Ana Conover, Brittany Johnson, Tori Galles, Abbie Begnoche, Sydney Schroeder, and Carly Ortmann stop to pose in the hallway before class starts on Thursday. 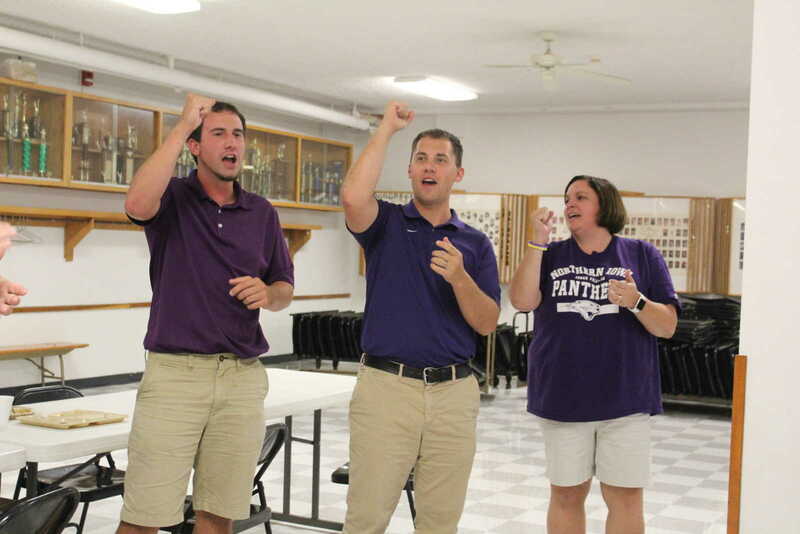 Justin Ruden, Tim Osterman, and Brenda Ortmann cheer to the school song during lunch in a battle against the Senior class. 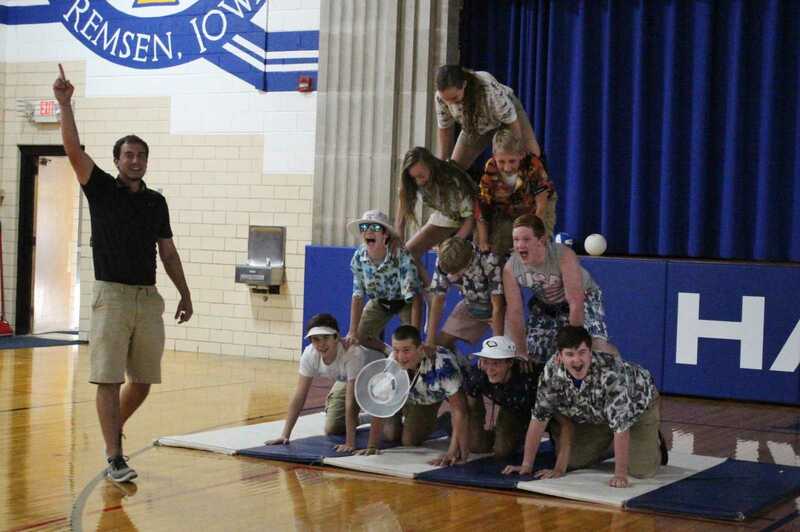 The freshman class is excited that they beat the seniors in the human pyramid. 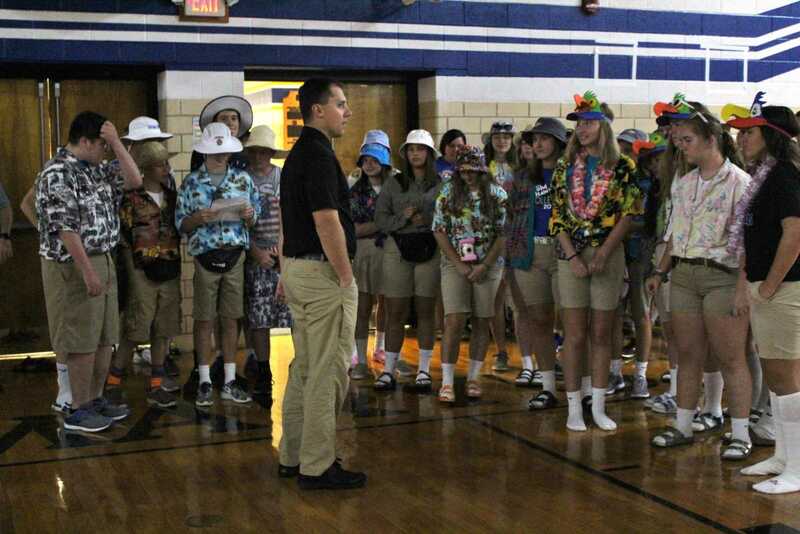 Tim Osterman explained the rules of the human pyramid to the students before playing. 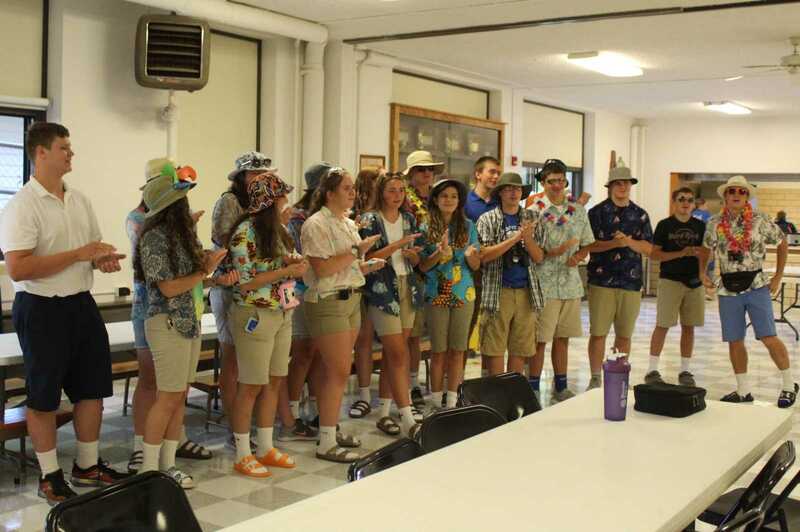 The sophomore class sings the school song to the high school students and faculty after lunch. 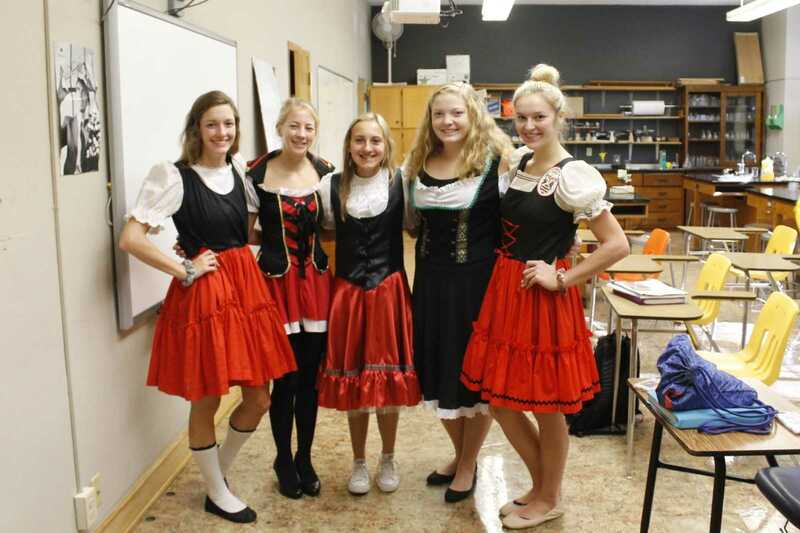 From left, Miranda Loutsch, Alexis Harpenau, Bailey Penning, Megan Wurth, and Brooklyn Frederes show off their German outfits after Anatomy. 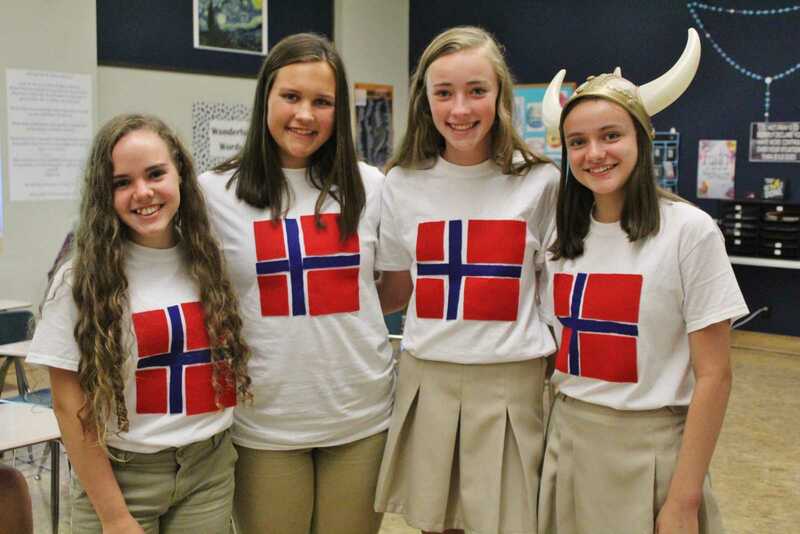 From left, Maria Russell, Sidney Tritz, Tessa Bohnenkamp, and Chloe Wurth gather to show off their homemade Norway shirts.